I received this shirt from Cents of Style. This post contains affiliate links. If I had my way, this would be my life motto at all times. Chips. Salsa. Repeat. That’s usually what happens when I have a bag of chips and my very favorite salsa in the house. 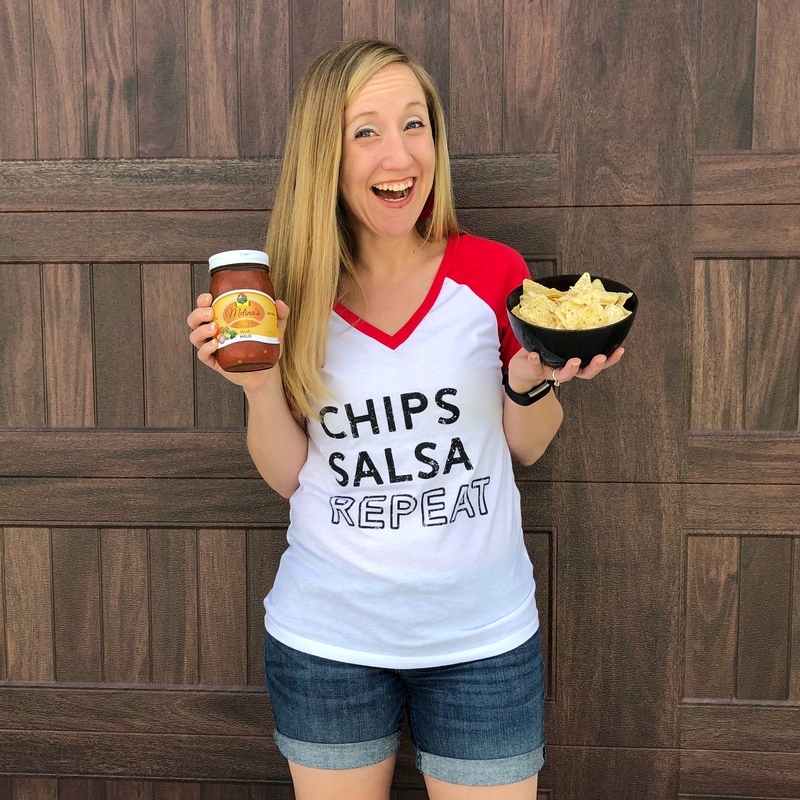 My taste in salsa has evolved over the years, from eating the mildest, least chunky salsa around to now enjoying a fabulous locally made salsa with a good kick. Corn salsa, mango salsa, pineapple salsa – I’ll take them all now! Give me the right salsa and I could eat a whole bag of tortilla chips in one sitting. True story. 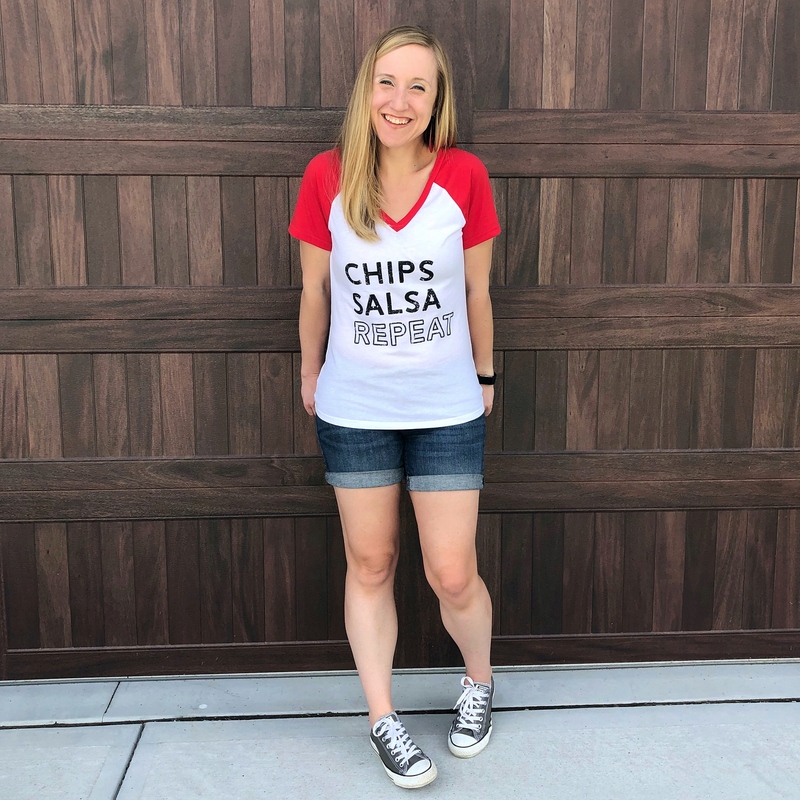 #2 – Salsa doesn’t bother my stomach on a normal day, but if I keep up this chips + salsa + repeat formula for too many days in a row, it can mess with stomach for running. It does NOT go well for me. That means I can’t live the chips and salsa life too extravagantly during training seasons. Sorry. That was all kind of downer, but do you want to know the good news? 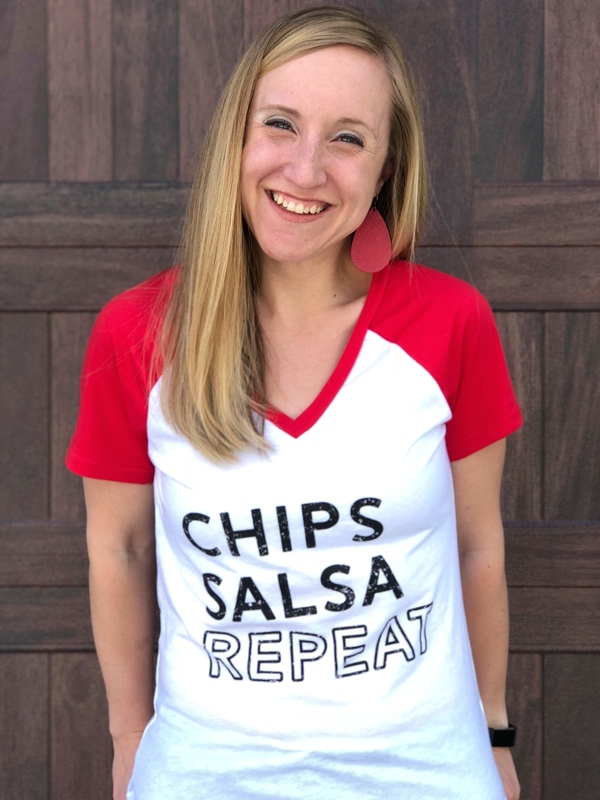 I’m not currently training for a race, so I’m going to wear this shirt, eat my favorite snack, and enjoy every second because Chips Salsa Repeat is life. 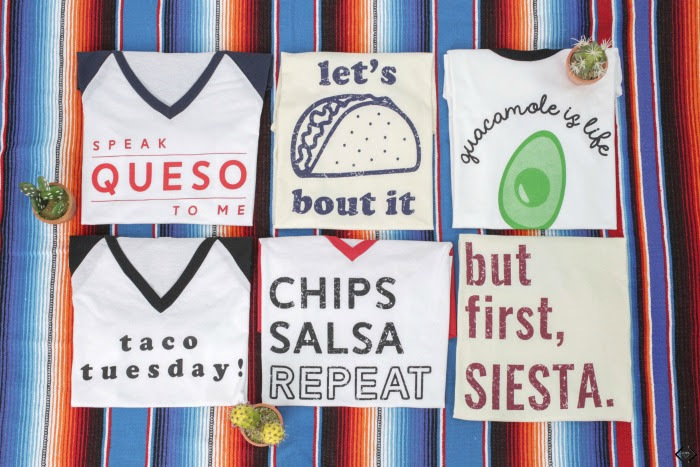 Remember to use the code TACOLOVE for 40% off AND free shipping on these super fun shirts through the rest of May! How do you like your salsa? Mild, hot, fruity, chunky, blended?